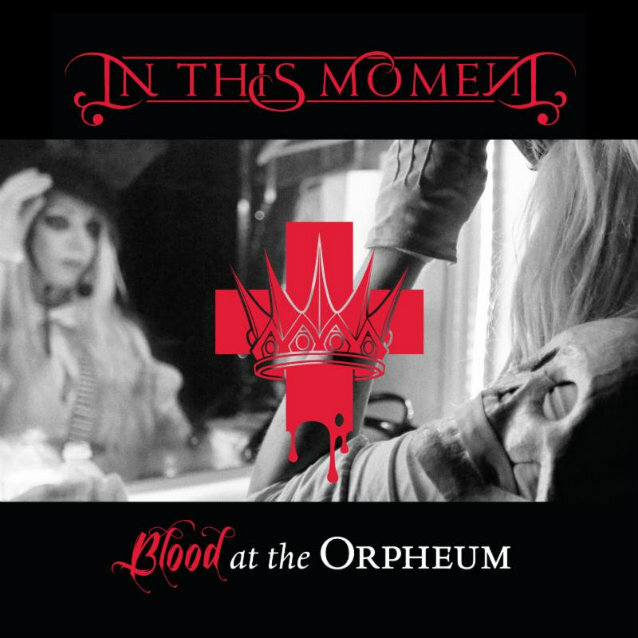 Southern California's IN THIS MOMENT will release "Blood Special Edition", a two-disc set featuring the band's breakthrough album "Blood" and the bonus live DVD "Blood At The Orpheum", on January 21, 2014 in North America via Century Media. The set includes a bonus cover of the NINE INCH NAILS track "Closer" on "Blood", and the live DVD contains a full 100-minute concert shot in Madison, Wisconsin earlier this year, behind-the-scenes footage and interviews. In Europe, "Blood At The Orpheum" will be released on February 17 as a limited-edition standalone DVD, and digitally in an audio-only format. 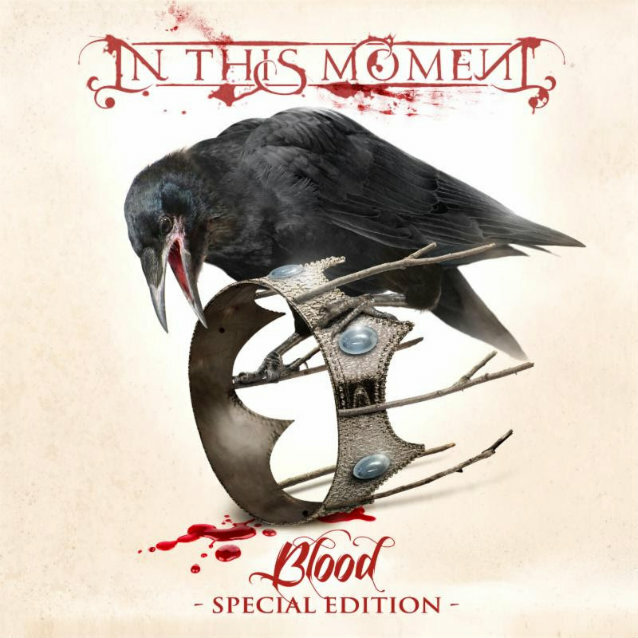 Exclusive pre-sale bundles, including long-sleeve IN THIS MOMENT shirts, a tank dress for women, and seven-inch "Blood" singles are on sale now. "Blood At The Orpheum" was filmed on May 21, 2013 in Madison, Wisconsin. IN THIS MOMENT partnered up with longtime supporter, radio station WJJO, as part of their Mayday Maylay concert series. The band had a bunch of surprises in store for this show, including rarely played songs from their catalog and an all-new stage show created specifically for this concert. IN THIS MOMENT's DVD was directed by Brad Golowin who is known for his work with MISS MAY I and 10 YEARS, to name a few. 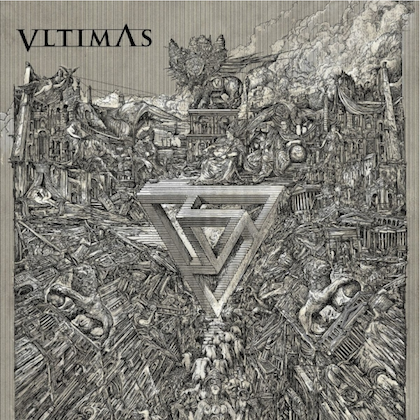 IN THIS MOMENT singer Maria Brink told The Pulse Of Radio that before the band had a bigger stage production, she used to go out into the crowd and get the fans to form a pit around her. "I don't have to do it all the time anymore, 'cause now we have so much of a live performance and we're kind of upping theatrical everything onstage," she said. "But once in a while it's such an adrenaline rush. The other day I went out there and the funniest thing — I didn't realize it in the moment, but they told me afterwards that I said as I was walking through the crowd, 'Nobody touch me! I get anxiety!' 'Cause I spread the crowd open and walked through, and I said that! [laughs] And it works! I mean, they part the way!" IN THIS MOMENT will kick off 2014 with "The Hellpop Tour II". Set to launch January 2 in Portland, Oregon, the 16-city trek wraps January 25 in Cape Coral, Florida, where the band will then make a return engagement on the Shiprocked cruise January 26-30, which sets sail out of Miami, Florida to Great Stirrup Cay, Bahamas. Joining IN THIS MOMENT on "Hellpop II" are BUTCHER BABIES in direct support, DEVOUR THE DAY and ALL HAIL THE YETI.